Chemical-free cleaning is actually pretty easy to achieve. In fact, it's totally possible to scrub your entire house, even those gross outdoor garbage cans, with natural and effective ingredients that smell great, too. The extra bonus? You'll never worry about whether your products are safe for kids or pets again. 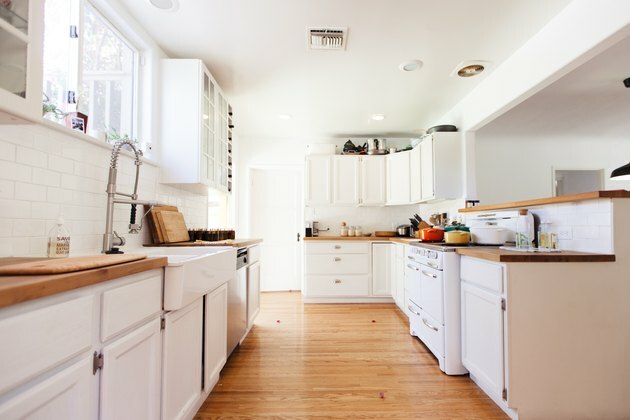 Below, our top ways for all-natural home cleaning. 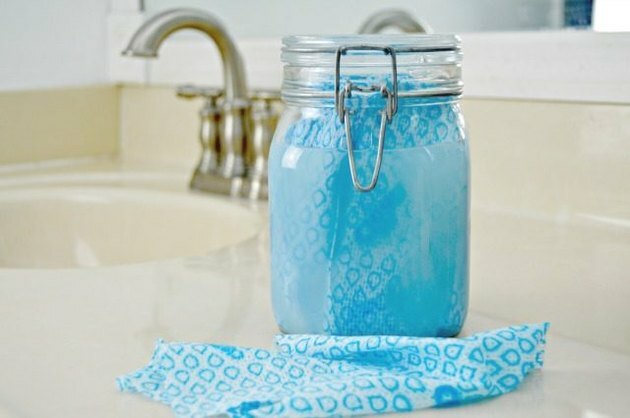 These resuable bathroom cleaning wipes require only a few natural ingredients, like castile soap and essential oils, making them good for the environment, and great for your budget. 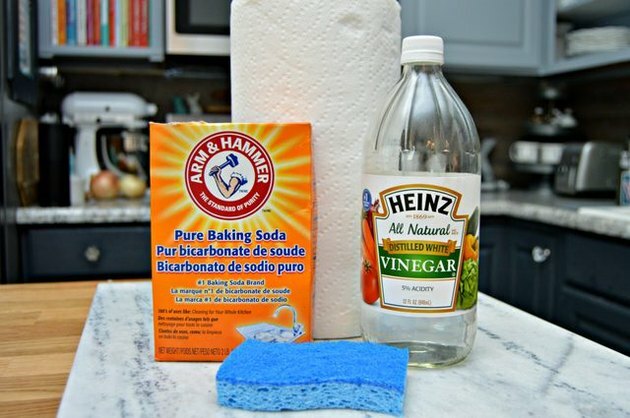 One of many reasons distilled white vinegar is so handy when cleaning clothes is its ability to break down any soap residue that may have built up on clothing, towels, blankets, and sheets. It's the acetic acid that does the trick. Simply add 1 cup of white vinegar to the rinse cycle. 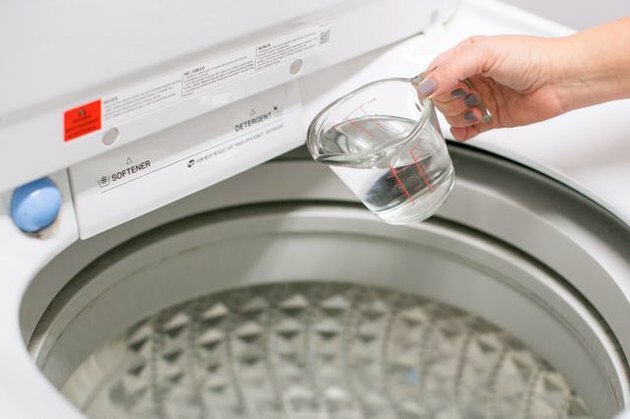 Try this simple, non-toxic weekly or bi-weekly cleaning method and your sink drain will be fresh and odor-free. 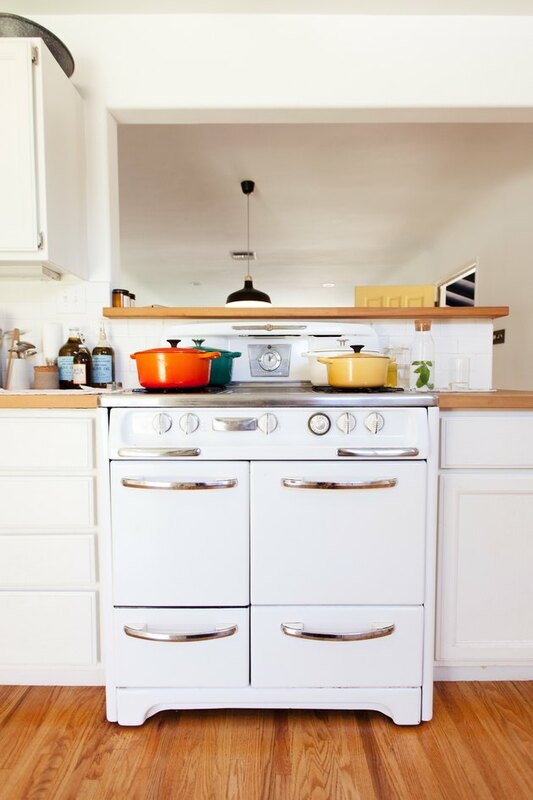 Cleaning your oven racks is easy with vinegar and its best friend, baking soda. See our handy tutorial to guide you. 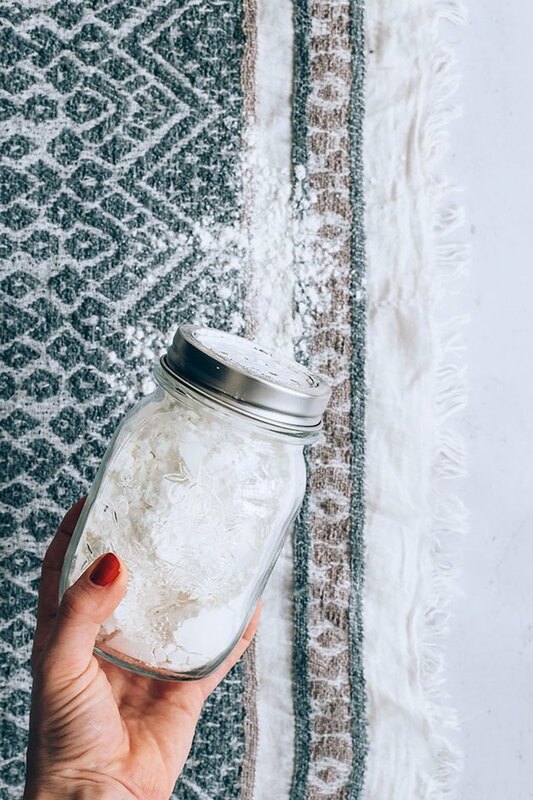 Commercial cleaners are not very kid- or pet-friendly, so skip the chemicals and give your favorite floor covering a refresh with this homemade dry carpet cleaning powder. 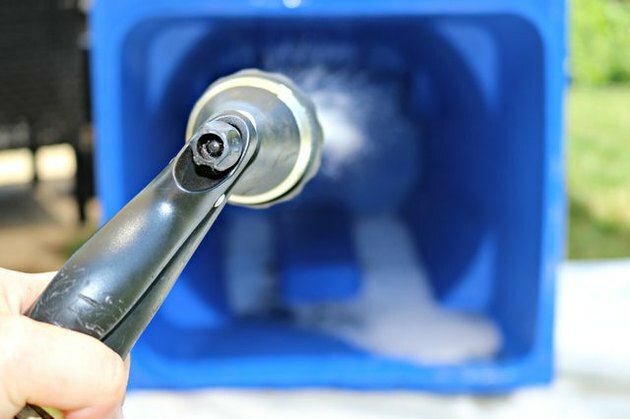 All you need to naturally clean a yucky outdoor garbage can is a simple solution made up of 4 cups white distilled vinegar and 1/2 cup dish liquid, plus a scrub brush and a hose. Just scrub the inside and outside of the can with the solution, and then rinse free. Done! Scents of freshly cut grass, blooming trees, and budding flowers are the harbingers of spring, and bringing them inside your home is a cinch with this spring-scented room spray. 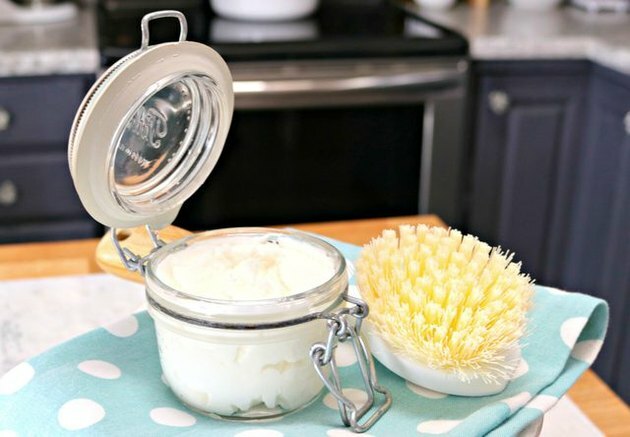 This all-in-one DIY soft scrub will get your sink, bathtub, scratched dishes, pots and pans, and even your stove top clean in minutes. 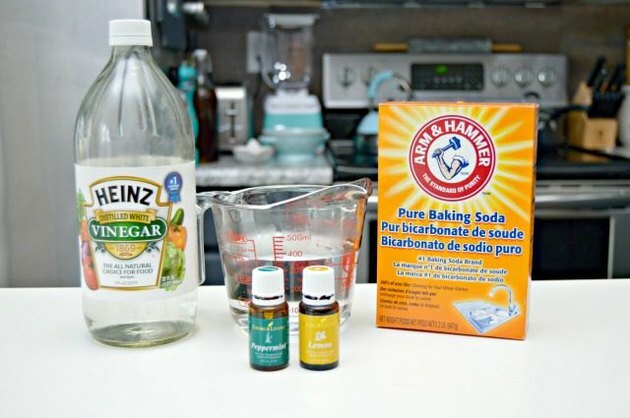 Mix 1 cup baking soda with 2 tablespoons Castile soap, 15 drops orange or lemon essential oil and 1/4 cup water until you get the consistency of cake icing. Store in an airtight container. To use, simply add some of the mixture to a damp sponge or scrubber and massage into any areas you want clean. 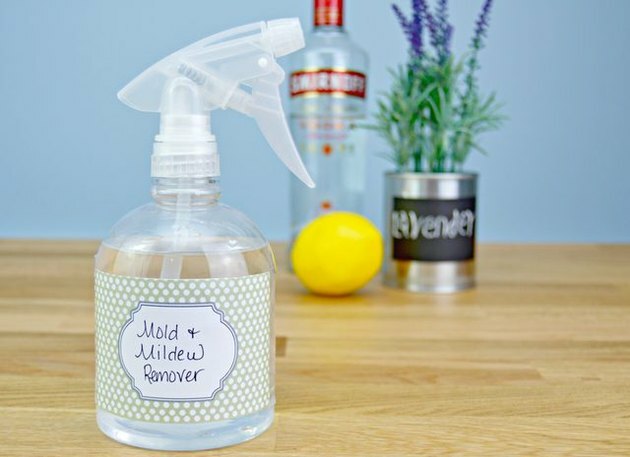 Did you know that vodka is a super effective way to kill mold and mildew naturally? Mix 1 cup of vodka with 1 cup distilled water, along with 10 drops of lavender and lemon essential oil in a spray bottle and shake well. Spray onto any moldy area and leave for 5 to 10 minutes before wiping away with a clean cloth. Genius! 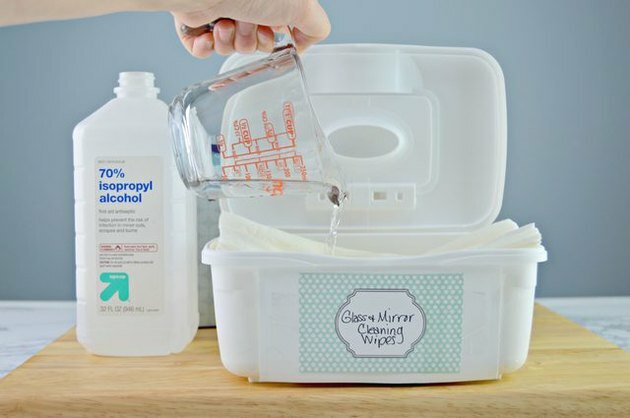 Homemade glass and mirror cleaning wipes take just two ingredients: 3/4 cup distilled water and 3/4 cup isopropyl alcohol. Add to some towelettes, and store in a recycled baby wipe container. They'll leave glass surfaces completely streak-free. 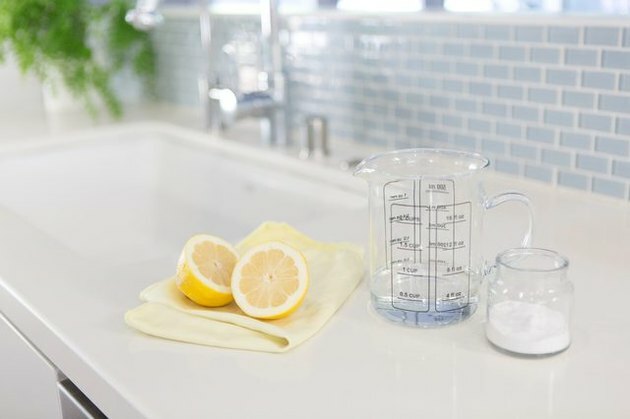 This simple three ingredient homemade toilet bowl cleaner keeps your toilets fresh and grime-free in between deep cleanings, and is so easy to make: Mix 1 cup baking soda with 1/4 cup citric acid and 1 ½ tablespoons of Castile soap. Mold the mixture into an ice cube tray and let dry overnight before using. 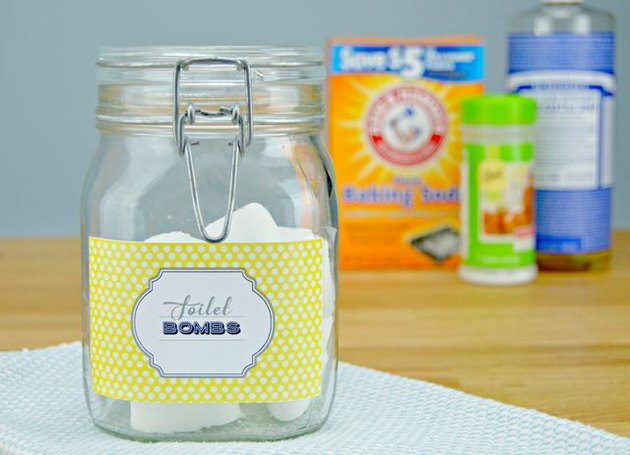 When ready, just toss one into your toilet and watch it fizz and evaporate as it cleans. Dirt and grime that works its way into the grooves and divots of tile flooring (as well as mold and mildew that can get into grout) needs a heavy-duty natural solution. Mix 1 ½ cups of warm water with 1 tablespoon baking soda, and then 1/4 cup vinegar into a plastic spray bottle and liberally spray the solution directly onto a microfiber cloth and mop your floors like usual. 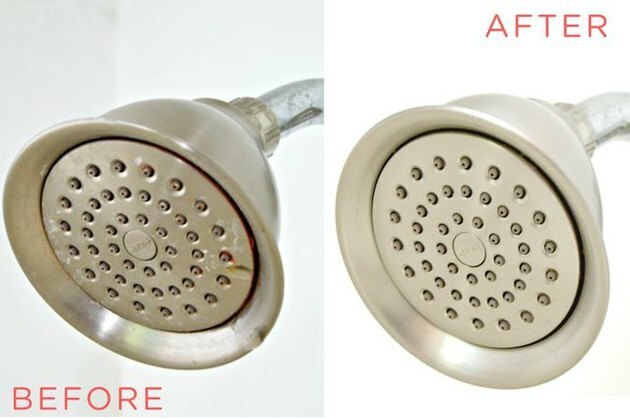 Shower heads can collect all kinds of mold, mildew, and bacteria, so try to clean them at least once a month. Fill a plastic bag with about 1 ½ cups distilled white vinegar and secure over the shower-head with a rubber band. Let sit for 30 minutes, scrub, and rinse. So easy. Remove hard water stains from your toilets by soaking 4 to 6 paper towels in distilled white vinegar. Then, roll the vinegar-soaked paper towels and press them up under the inside rim of your toilet, leave for 10 to 20 minutes. Remove and discard. 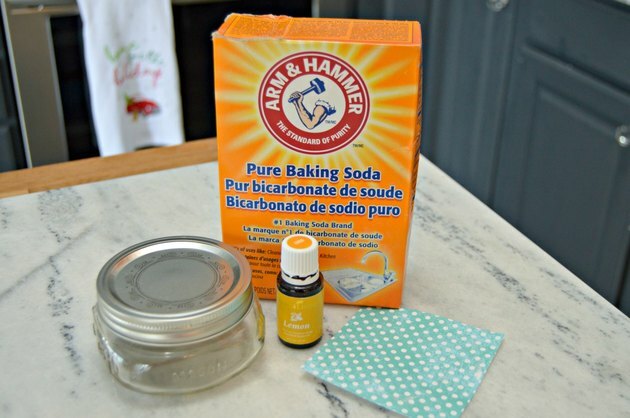 Add about 1 tablespoon of baking soda to a damp scrub sponge, working your way around the rim. If stains are extra tough, spray the area with vinegar and scrub with more baking soda. 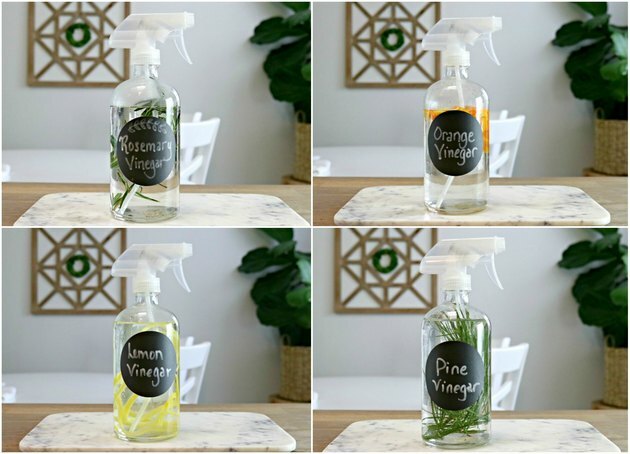 Not everyone loves the smell of vinegar, so a smart solution is to infuse it with other natural elements to cover up the potent aroma and boost effectiveness while you're at it. Fill empty jars halfway with fruit peels or herbs — like orange, perfect for cleaning grease and sticky messes in the kitchen, or pine needles for a go-to wood surface cleaner. Then, pour hot distilled vinegar over the fruit peels/herbs, let steep for up to 48 hours, and pour into a clean spray bottle before general use. All you need to make your own natural air freshener is 1 cup of baking soda plus 10 to 15 drops of your favorite essential oil. Simply place a piece of decorative paper, like scrapbook paper, over a small Mason jar with a lid and poke a few air holes. And then let it do it work. This is for cleaning your hands after you do all that home cleaning. (We didn't forget about you.) 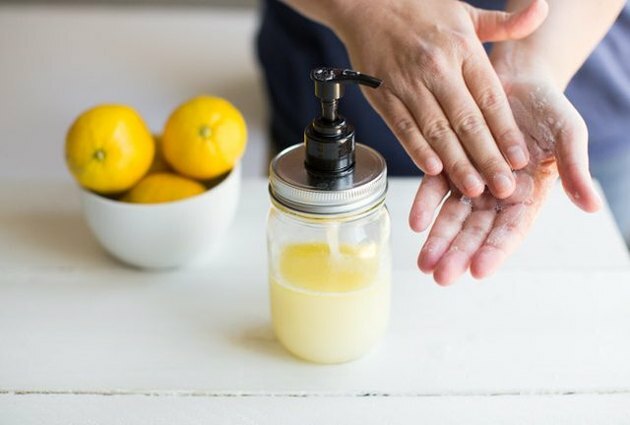 Making your own liquid hand soap is one of the easiest cost-saving projects for the home. You'll love this olive oil and lemon anti-bacterial recipe.